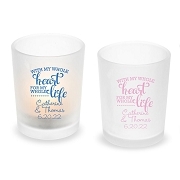 Create a special treat for your gust with these hinged glass jar favor and add a personalized touch with our Mr. & Mrs. 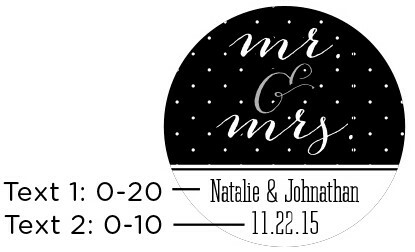 Custom design stickers. 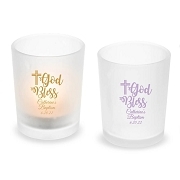 Before you start your new chapter in life, have one last blast from the past with these vintage-chic glass favor jars. 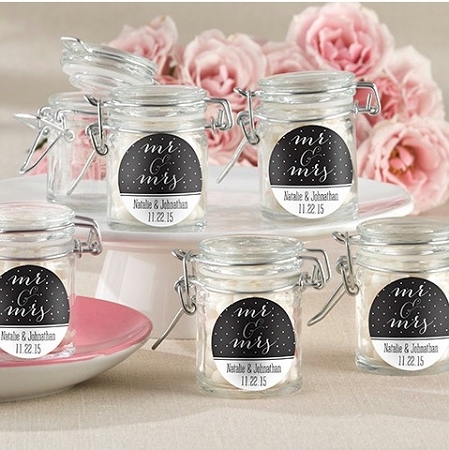 Ideal for weddings and engagement parties, these originals feature a black-and-white polka-dotted sticker design that's just the right amount of femininity. 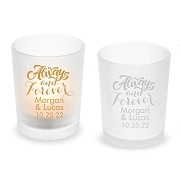 Personalize it by adding your names and special date after the fancy Mr. & Mrs. script!